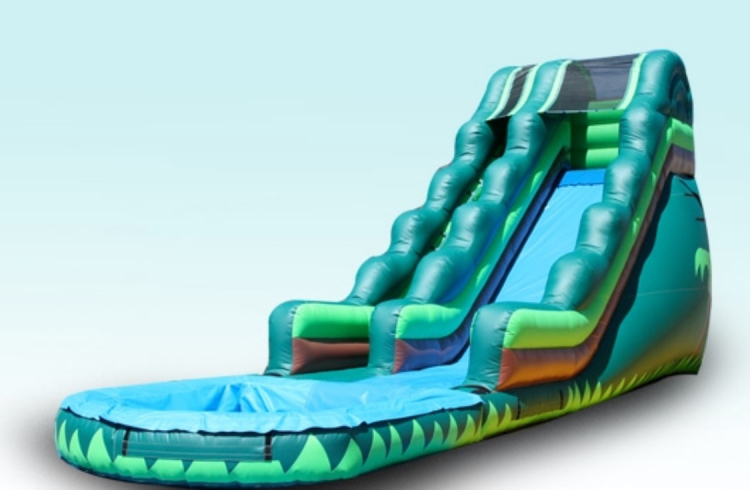 18 ft tropical wet slide will be the center of your party or event. Bring the tropics right in your backyard. this slide provides all-day fun for kids and adults alike!